After payment you receive a link on which you can get a license key (CD KEY) with the game Tom Clancys Rainbow Six Siege Standard Edition from the official supplier - the company "Buka", for activation in Uplay. 1. If you do not have a Uplay client installed, download and install it. 2. Log into your Uplay account or register a new one if you do not already have one. 3. To activate the code in Uplay, click on the image of the three horizontal lines in the upper left corner and select the item "Activate product". 4. Enter the activation code. 5. After that the game will be displayed in the "Games" section, and you will be able to download it. Attention! This game is activated on the territory of Russia and CIS countries. The modern world is developing at an incredible speed, but at the same time it is becoming more fragile. Imagine a house of cards: just remove one element - and the construction will collapse. ... Shortly before Christmas, New York covers a monstrous pandemic. Public and state services one after another cease to function, and interruptions begin with water, food and electricity. In just a few days the streets of the city embrace chaos. And then the Special Detachment enters into the matter - a special division of operative agents. In peacetime, they lead the most ordinary life, but when trouble comes, they begin to act. The task of the Special Unit is to save society. When the world collapses, we are its support. SLEEP NEW YORK. You will find yourself in an open world that lives and develops according to its laws. To survive and fulfill your task, you have to explore the city and hone your skills. Together with other agents of the Special Unit, your goal is to restore public order, find the source of the virus and save New York. A LIVING CHANGING WORLD. 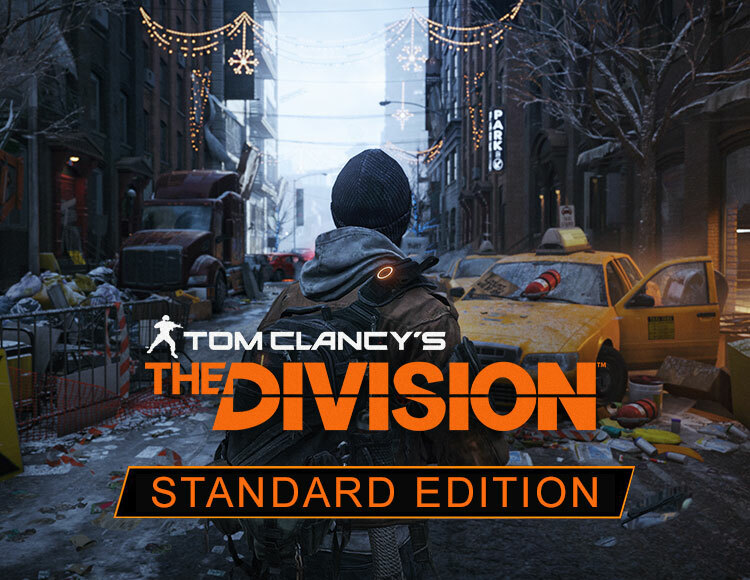 In the world of Tom Clancy's The Division on the gameplay significantly affect the time of day and weather conditions. Constant changes in the environment can be helpful: use them to get a tactical advantage or catch the enemy by surprise. By improving the gas mask, you will be able to wade into areas with a high degree of infection without risk of catching the virus. THE LAW OF STONE JUNGLE. In New York, there are many small gangs that use the situation for personal gain. Behind every turn, there may be thugs who are ready to attack anyone who is not capable of fighting back. In addition, you will come across so-called Cleaners, who are dressed in chemical protection suits and armed with flamethrowers. To rid New York of the virus, they are ready to burn anything ... and anyone. Equally dangerous is the grouping of runaway criminals, former prisoners of the Rikers prison. Seeking to seize control of the city, they will not stop at nothing.